Rexall Pharma Plus has a great contest for Mother's Day! 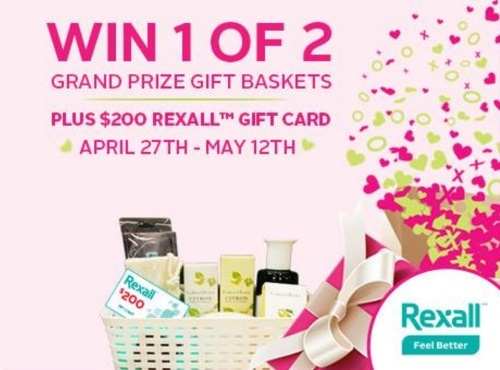 Enter to win 1 of 2 Grand prize gift baskets plus a $200 Rexall gift card! Contest is open April 27-May 12, 2017.